HomeArticlesCracks in the Alliance: Is There Finally Daylight between Israel and the US? Things have come to a strange state of affairs when Washington regards Avigdor Lieberman, Israel’s far-right foreign minister, as the voice of moderation in the Israeli cabinet. While Lieberman has called the soon-to-be-unveiled US peace plan the best deal Israel is ever likely to get, and has repeatedly flattered its chief author, US secretary of state John Kerry, other ministers have preferred to pull off the diplomatic gloves. The most egregious instance came last week when Moshe Yaalon, the Israeli defense minister, launched an unprecedented and personal attack on the man entrusted by President Barack Obama to oversee the negotiations between Israel and the Palestinians. In a private briefing, disclosed last week by the Yedioth Aharonoth newspaper, Yaalon called Kerry “obsessive and messianic”, denounced his peace plan as “not worth the paper it was written on”, and wished he would win “the Nobel prize and leave us alone”. On this occasion, however, Washington’s response ratcheted up several notches. US officials furiously denounced the comments as “offensive” and demanded that Israeli prime minister Benjamin Netanyahu publicly slap down his minister. But what might have been expected – a fulsome, even grovelling apology – failed to materialize. It was only on Yaalon’s third attempt, and after a long meeting with Netanyahu, that he produced a limp statement of regret “if the secretary was offended”. Also showing no signs of remorse, Netanyahu evasively suggested that disagreements with the US were always “substantive and not personal”. With the diplomatic crisis still simmering, Yaalon returned to the theme late last week, telling an audience in Jerusalem that the US and Europe had a “misguided understanding” of the Middle East and denouncing a “Western preoccupation with the Palestinian issue”. Not surprisingly, the Palestinian leadership is celebrating the latest evidence of Israel’s increasingly self-destructive behavior. Such outbursts against Kerry will make it much harder for Washington to claim the Palestinians are to blame if, or more likely when, the talks collapse. The Israeli government is not only hurling insults; it is working visibly to thwart a peace process on which the Obama administration had staked its credibility. Netanyahu has kept moving the talks’ goal posts. He declared for the first time this month that two small and highly provocative settlements in the West Bank, Beit El and a garrisoned community embedded in Hebron, a large Palestinian city, could not be given up because of their religious importance to the “Jewish people”. That is on top of recent announcements of a glut of settlement building, ministerial backing for the annexation of the vast expanse of the Jordan Valley and a new demand that Palestinians stop “incitement”. Even Obama appears finally to be losing hope, telling the New Yorker this week that the chances of a breakthrough are “less than fifty-fifty”. While Netanyahu may act as though he is doing the White House a favor by negotiating, he should be in no doubt of his dependence on US goodwill. He received a timely reminder last week when Congress voted through a $3.1 billion aid package for Israel in 2014 – plus hundreds of millions of dollars more for missile development – despite the severe troubles facing the US economy. In part, Netanyahu’s arrogance appears to reflect his personality – and a culture of impractical isolationism he has long nurtured on the Israeli right. With Washington pushing firmly for engagement with the Palestinians, this has started to rebound on him. Israeli analysts have noted his growing insecurity, fearful that any concessions he makes will weaken him in the eyes of the right and encourage challengers to the throne. That explains some of his indulgence of Yaalon. But his ideological worldview also accords with his defense minister’s. 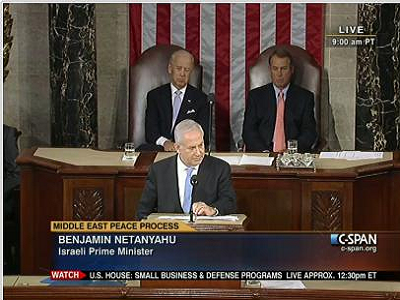 It is hardly the first time Netanyahu has picked a fight over the peace process. In Obama’s first term, he waged a war of attrition over US demands for a settlement freeze – and won. He even dared publicly to back the president’s Republican challenger, Mitt Romney, in the 2012 elections. In unusually frank references to Netanyahu in his new memoir, Robert Gates, Obama’s defense secretary until 2011, recalls only disdain for the Israeli prime minister, even admitting that at one point he tried to get him barred from the White House. He writes: “I was offended by his glibness and his criticism of US policy – not to mention his arrogance and outlandish ambition.” He also calls Netanyahu an “ungrateful” ally and a “danger to Israel”. But the problem runs deeper still. 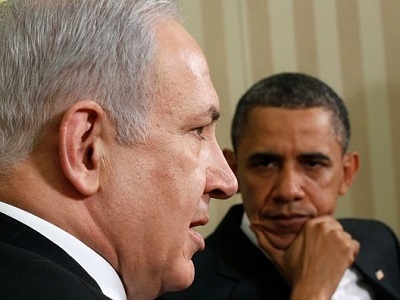 Just too much bad blood has built up between these two allies during Netanyahu’s term. The feud is not only over Israel’s conflict with the Palestinians but on the related matter of US handling of what Israel considers its strategic environment in the wake of the Arab Spring. Netanyahu is angry that the US has not taken a more decisive hand in shoring up Israeli interests in Egypt and Syria, and near-apoplectic at what he sees as a cave-in on Iran and what Israel claims is its ambition to build a nuclear weapon. He appears ready to repay the White House in kind, rousing pro-Israel lobby groups in Washington to retaliate on almost-home turf, in Congress, through initiatives such as a bill threatening to step up sanctions against Iran, subverting Obama’s diplomatic efforts. Aaron David Miller, a veteran US Middle East peace negotiator, recently described the Israeli-US relationship as “too big to fail”. For the moment that is undoubtedly true. That warning is a double-edged sword. It is doubtless directed chiefly against those, like Iran and Syria, that are seen as threatening western interests in the Middle East. But Israel is no less a part of the “old order”, and if it continues to cramp US efforts to respond effectively in a changing region it will severely test the alliance. It looks as if the cracks between Israel and the US are only going to grow deeper and wider. I definitely hope that this is true, especially in cue of PM Netanyahu’s drive to grab all of the West Bank by his rush to establish more settlements, and to push the Bedouin off of their land in the Negev, not to mention plans to increase a Jewish presence in the Galilee. And the US is copping crap from this guy? What is wrong with: Withdraw to the the 67 borders and begin REALLY serious negotiations on reparations with the Palestinians, beginning now. Not a cent until you comply. Al Us diplomatic support is withdrawn until you comply. Nor will the US lift an eyebrow in our defence should you be attacked. This is the minimum required, before we are even interested i talking to you. Outlaw all trade, banking and diplomatic contact. I give the Israelis 24 hours before change begin.